First of all, a HUGE thanks to everyone who helped and encouraged me to finish this build, specially Parametrek, and it’s infinite patience for my inane OpenScad questions. 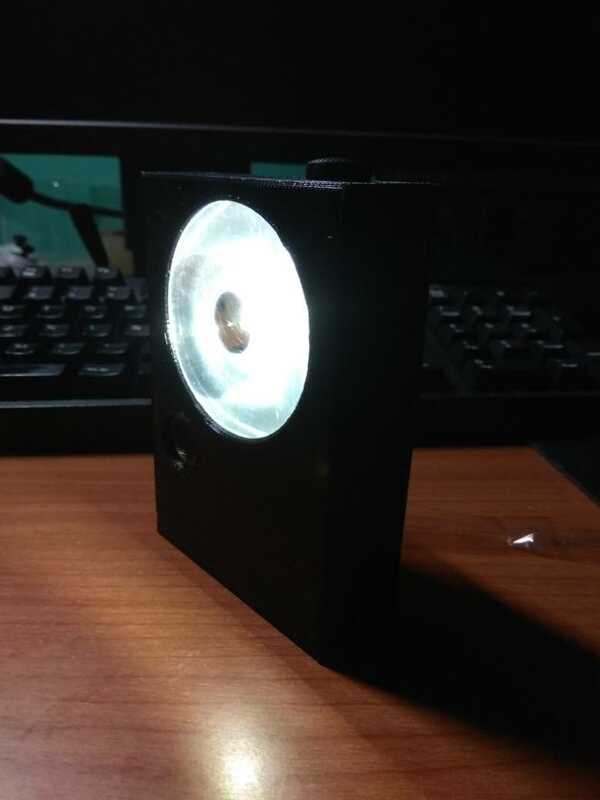 How did I even get into making this flashlight. A GodAwful Mess, or AGAM for short. I’m mostly active over at the flashlight subreddit, although I have a few posts here on BLF too. 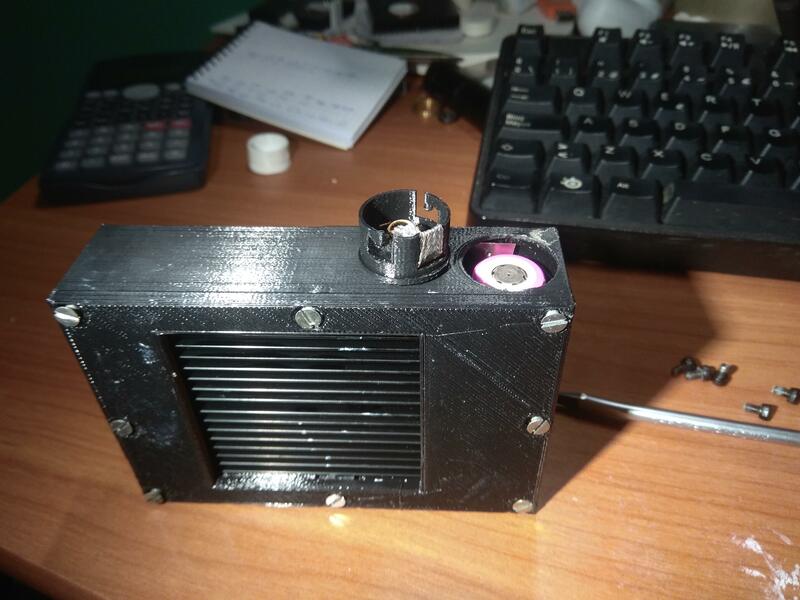 I got a 3D printer some time before the contest started, and have done some very simple flashligth related stuff with it, such as my BLF GT Extender or my Aspheric BLF GT (As of yet not perfectly focused), or a 18650*2 battery holder for a viltrox panel. 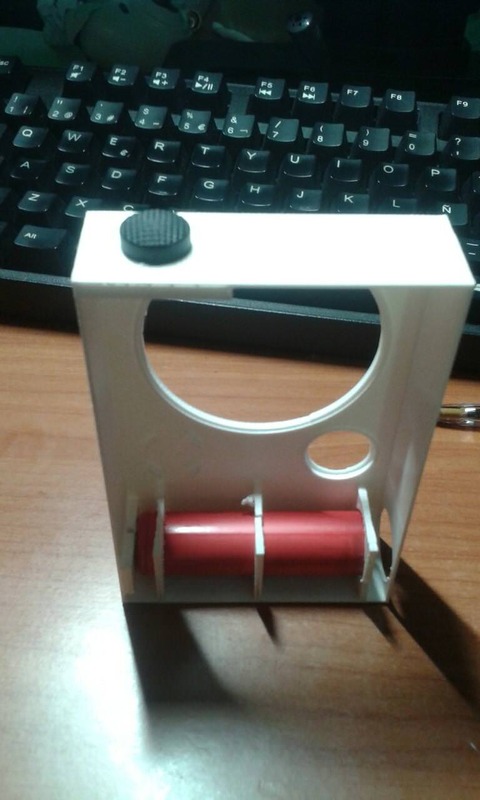 Once I knew about the contest, I decided I had to go ahead and jump into trying to make my own flashlight on the printer. I borrowed some ideas from the folks over at Silent Thunder Ordinance and their Eye of Sekhmeth and decided to try and improve on some aspects of the design (While completely butchering others, as it so happens). This was the first mockup of the design. It has mostly stayed the same on the basics, although some things have had to change due to design constraints, like changing the battery from 18650 to 16650 to save on space. The basic idea was to combine high CRI flood and long distance throwing into the same flashlight, while keeping replaceable batteries and using a single driver. A dragon driver was the only logical option for this. I would have preferred a more powerful secondary channel, but nothing else exists nowadays (afaik) that can do that. 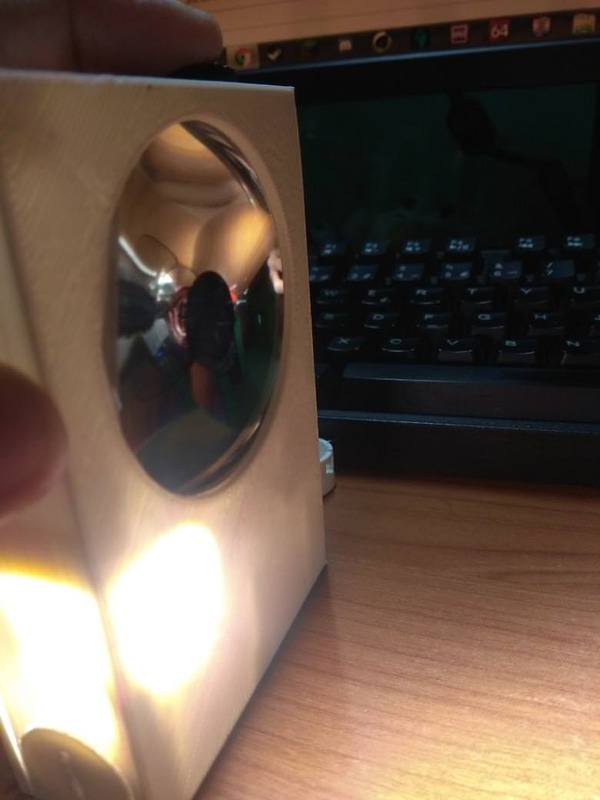 The light itself was then designed on OpenScad. 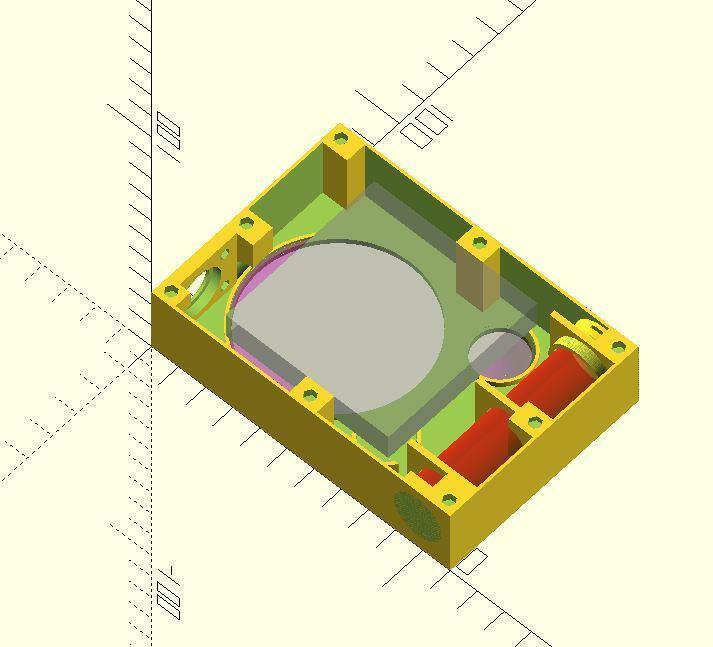 The very first model of the design was only meant to check if the actual hardware would fit into the dimentions I wanted. I made some mockups of the components on openscad, and then printed it out to check if everything would fit. 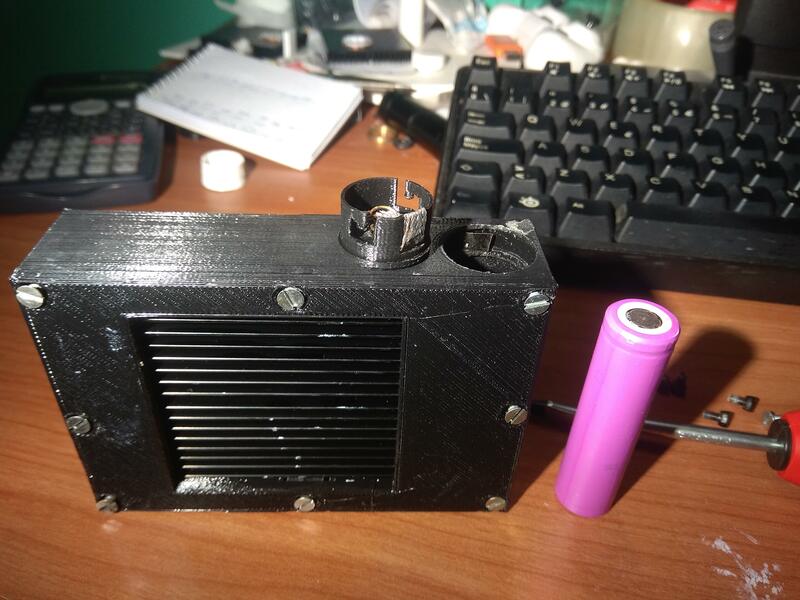 The 18650 battery wouldn’t really fit, and I did not want to make the light any thicker. The change to 16650 happened here, and everything else fit fairly well. A detail of the cap. For the sake of simplicity, I decided not to use a threaded cap, and go instead for a bayonet lock. After checking fitment of the parts, I started adding all the needed structural elements to the design, such as space for nuts, to close the backplate, reinforcements to add rigidity, etc. In it’s current state, the ligth doesn’t close properly. The space left for the heatsink is not enough, but a new backplate is currently on the printer to try and fix the issue. However, the light itself already works. The heatsink is not making good contact, so I’m hesitant to run it for long periods just yet, (And I have to take some pictures of the wiring inside). 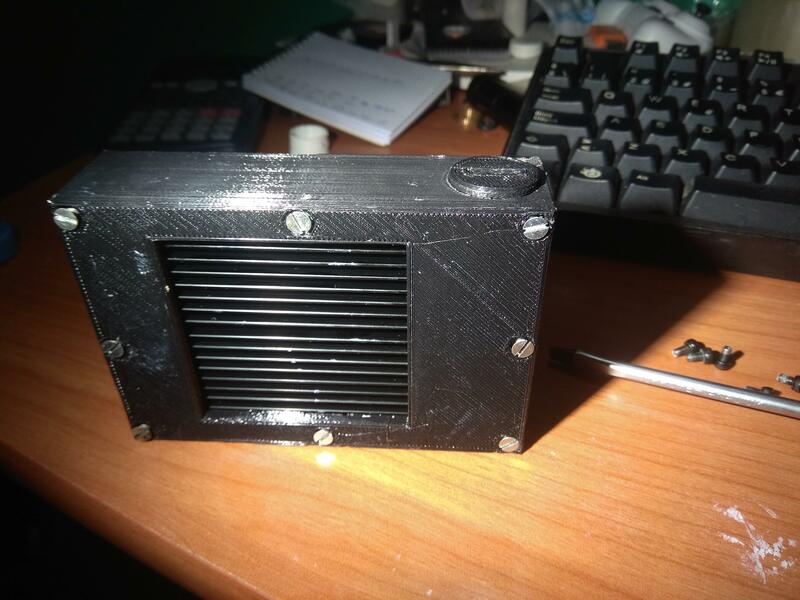 The final body of the light will be black, to match the heatsink. I expect that will also cut down on the backscatter inside the light. And here we have a beamshot of the osram flat black beam. Again, the parts are a bit loose still, and the osram is clearly not correctly focused. This is the internal wiring. You can also see the nuts used to keep the backplate closed and the battery. And primary emitter, osram flat black. 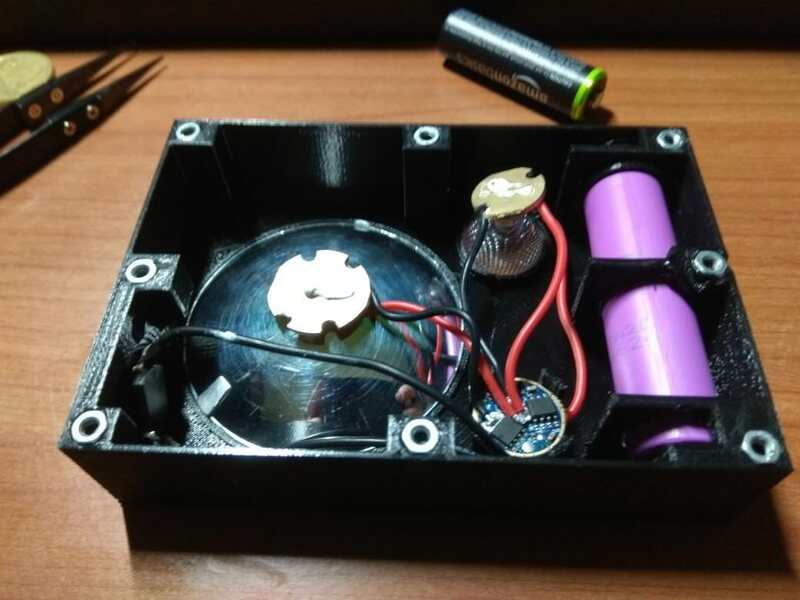 The battery can be changed without having to open the backplate, using the bayonet cap. 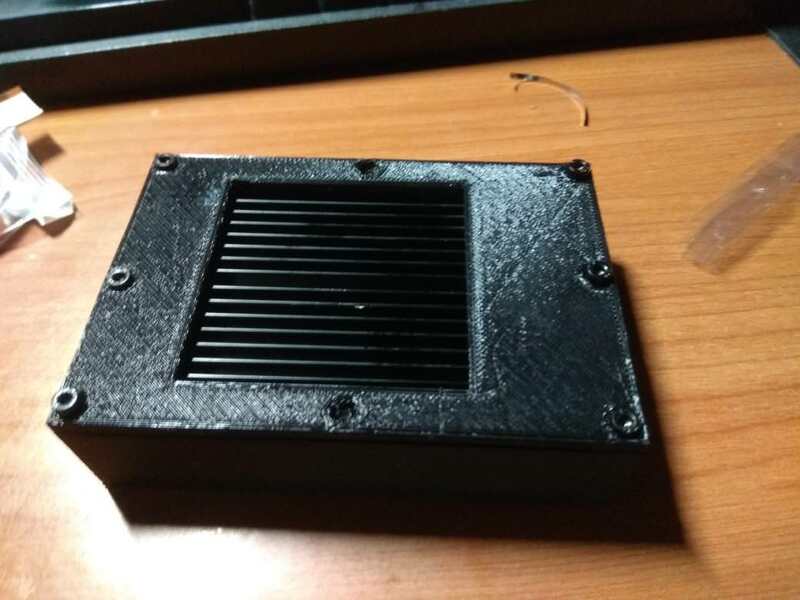 Some much needed improvements would include better support for the heatsink, better tolerances in general, a change in the material used to print the host, and, as a long term goal, waterproofing. That said, in it’s current state, the light works just fine. The heatsink is more than capable of handling the heat produced, the battery is easy to change, the high cri 219b sw45k looks incredible and the osram emitter, while handicapped by the high resistance wiring and (mostly) the shoddy focusing, throws enough for trail-finding. Welcome to the comp kaybi and a big hearted thanks for joining in. I’m sure Justin would be tickled pink to have you here. Your bayonet cap brought back memories of a torch Old Lumens built using the same idea to hold the battery cap on. All the best for the completion. You post here with a link to this thread you have entered. Nice, reminds me of silent thunder ordnance flashlights, how much was the optic? Indeed, the light is based on the Eye of Sekhmet. 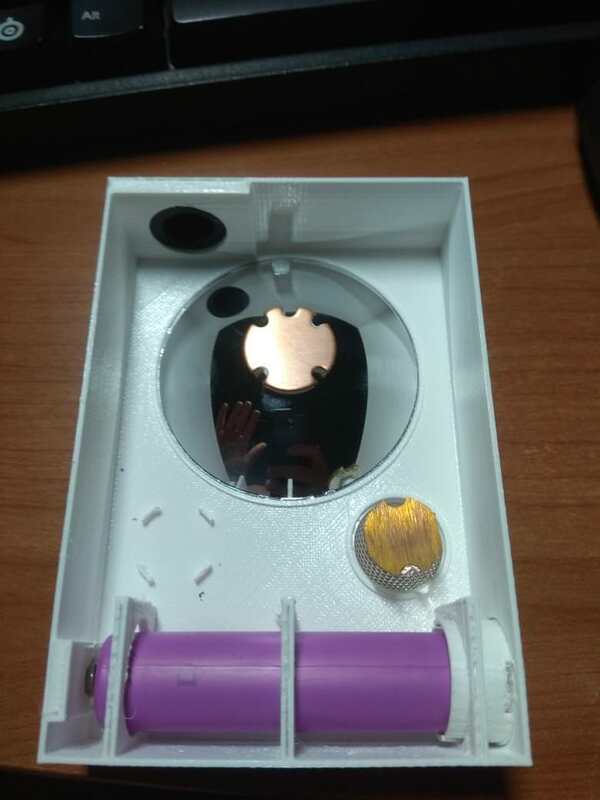 I had a talk on reddit with the makers quite some time ago, and mentioned how I would have bought the light in a heartbeat if it had replacebale batteries instead of a USB port. That said, the replaceable batteries have really made this build quite a bit more challenging, and the light is thicker than it would need to be if it had a flat battery instead. That's the kind of torch i was thinking to do myself in memory of my first flashlight where did you find the reflector ? 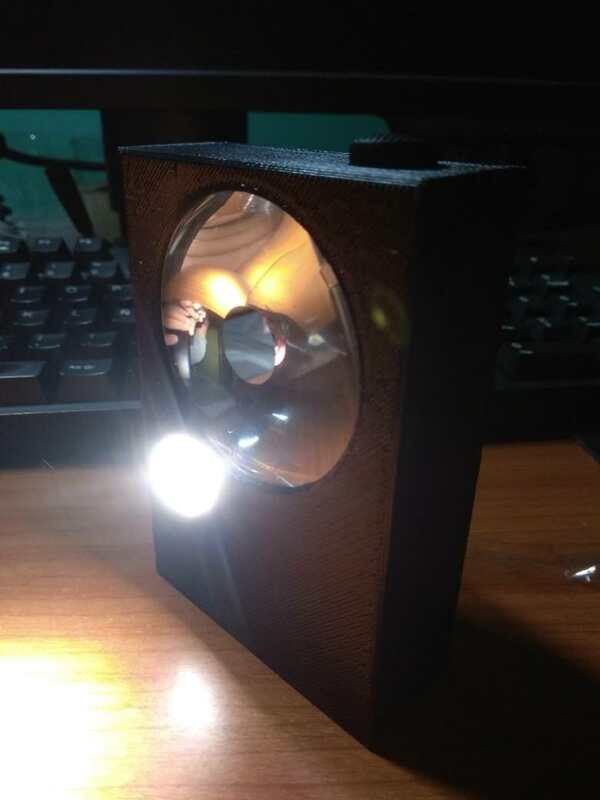 Side note : I don't really get why everyone on this forum refer to eye of skemet each time there is a "flat box" torch. For me it's just how nearly every torch was looking like here when i was a kid many years before EoS (but i totally admit EoS is a very nice and beautiful design itself). Kame Sennin: The heatsink is actually exposed to the open air. It’s out of focus, but you can see the cutout for it and the heatsink showing on the last picture. 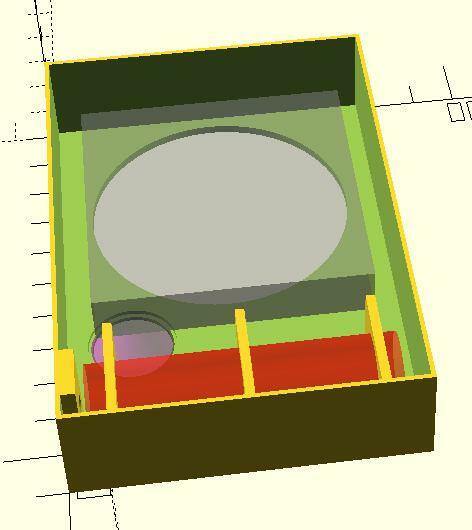 The reflector comes from mountain electronics, it’s a catadioptric from carclo, 10158, costs about 9 usd. Very cool, kaybi! And welcome to the competition! Hey, I almost missed this one. Very interesting, good luck! 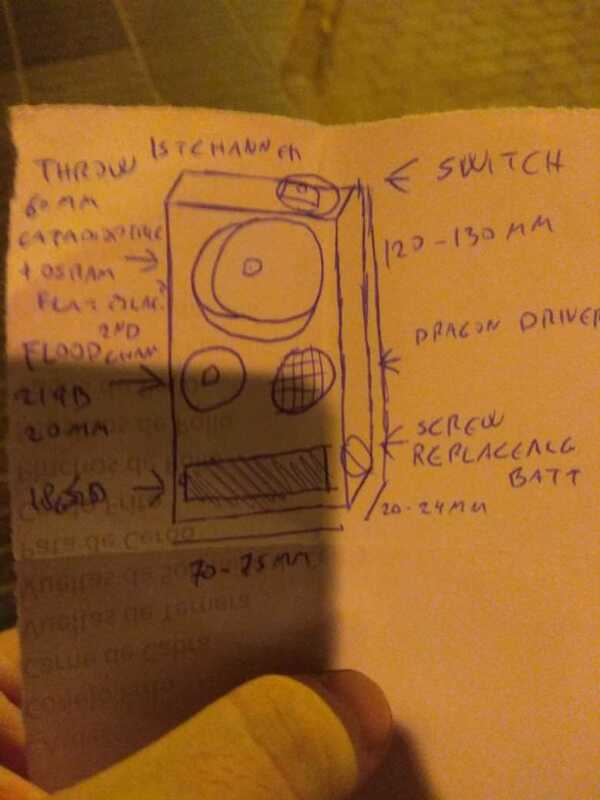 Will the driver be connected to the heatsink as well? 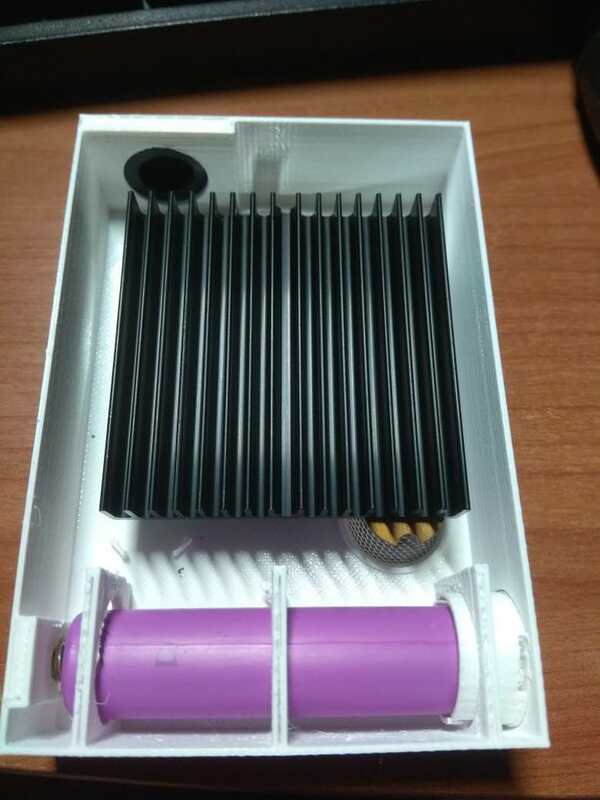 I have no plans to connect the driver to the heatsink, but given the fairly low amperage of the light (16650 battery, long leads, generally high resistance…) I don’t expect it to have much trouble. It could probably be connected to the heatsink if it really had to be, though. Thats really creative kaybi. Good to see it up and running. 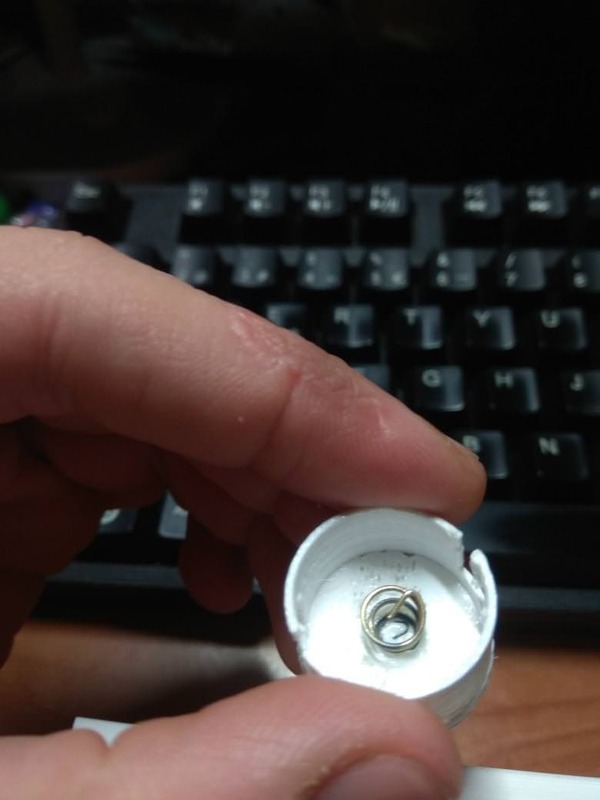 How did you fix the screw nuts, super glue? And which type of filament did you use? Flashy Mike: The nuts are currently fixed with super glue, yeah. The filament is PLA. I’m having some trouble printing ABS right now, which was the filament I wanted to use originally, for extra heat resistance, but I don’t think the light will get hot enough for it to be a problem. 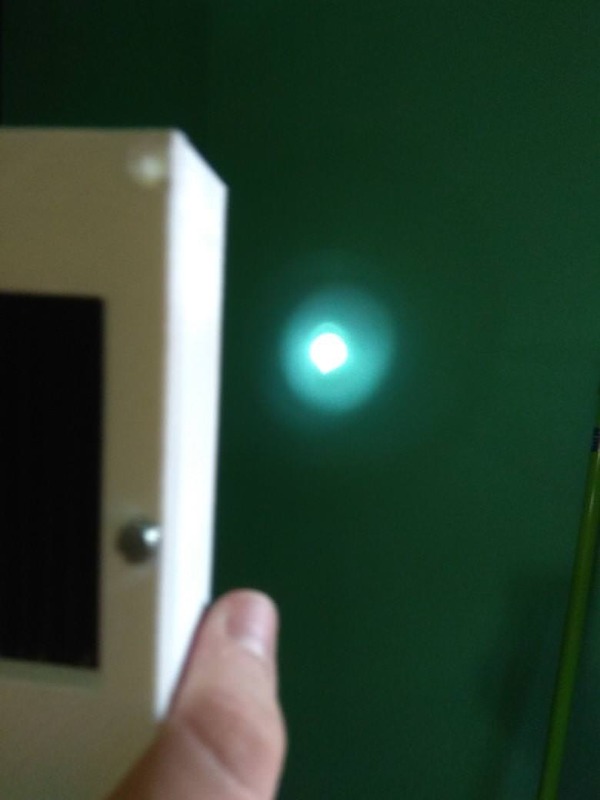 If you want to build a similar light, I’d be happy to send you the files to print iit yourself. I already planned to make them public, but I want to wait until I’m finished entirely with the light just in case I make any more changes to it. Nice little pocketable light, well done! would you mind to share where you bought the optics? Thanks! I knew Richard has them available but hoped for a faster European source. Congratulations on the quick build! I totally missed this thread somehow. But I just now read through it. I like your design, although I agree that the heat sink could probably use a bit more exposure. 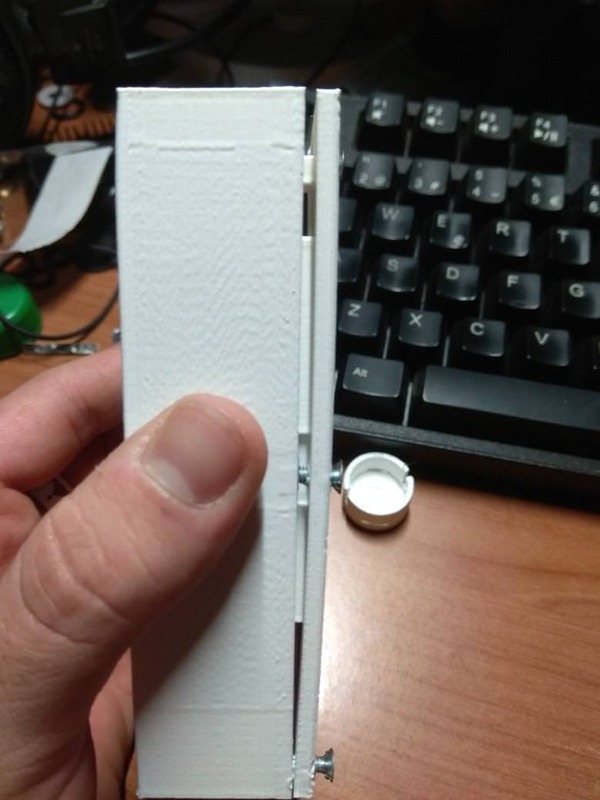 A suggestion would be to turn it 90 degrees, so the fins run the width of the box rather than the length. Then cut some vent grooves in the adjacent sides to allow a bit more of a draft. I’m sure you’re ultimately right that it doesn’t need it. But it would still help a little I think.